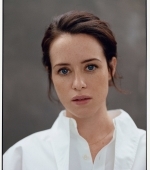 The Telegraph – In her roles as Queen Elizabeth II and Anne Boleyn, Claire Foy has demonstrated a quiet genius for conveying a multitude of emotions and thoughts without saying a word. It is all there in the face: porcelain pale, with perfect features and those startled-wide eyes. Foy in person is much more animated than her facility for silences might suggest. A petite figure, dressed in a black jumpsuit and trainers, we meet for lunch at a hotel in Clerkenwell, where she arrives precisely on time. There has been a mix-up over booking a table, but we shan’t worry about that, so we sit in the bar, eating crisps, dips and Scotch eggs, which Foy devours – she’s not the least bit regal, and somewhat bemused by the whirl of attention occasioned by the extraordinary success of the Netflix series The Crown. The second series of The Crown arrives on our screens in December. It is Foy’s swansong in the role. In the third series the Queen will be played by an older actor, yet to be announced. While the first series dealt with the Queen struggling to come to terms with her position, and the conflict between duty and family, the new series concentrates more on her marriage to Prince Philip. ‘They’ve had 10 years of a relationship,’ Foy says, ‘and it’s changed beyond belief from when they first met each other. Rather than just talking to each other, they’re essentially fighting the entire time, which is awful. But it’s also about her advancing into middle age. The monarchy are weirdly a reflection of us… They are at our whim, we can turn on them in a second. ‘When she first came to the throne she could do no wrong in peoples’ eyes. Then, coming in to the ’60s, it’s more a case of, “Who are you? What are you for? Look at your hair! What on earth are you wearing?” And her going, “I feel a bit frumpy. I’m wearing the same clothes as my mother.” She is realising that she as a person is open to criticism and that the institution is, too. It’s “change or die”, but she’s in a quandary of “I don’t know how to change”. For Foy herself, playing the Queen has also been a process of change, modifying her attitudes to the monarchy. ‘That’s why I think the series is so good; instead of just looking at the institution, it’s looking at them as people, what experiences and challenges they’ve had and what you can learn from how they’ve dealt with things. We are meeting to talk about Foy’s new film, Breathe, based on the true story of Robin Cavendish, played in the film by Andrew Garfield, who in 1958 was struck down by polio at the age of 28. Paralysed from the neck down and able to breathe only with the use of a mechanical ventilator, he was given three months to live. But a year later – against the advice of his doctors – he was able to leave hospital and, thanks to the development of a Heath Robinson-esque mobile ventilator, attain a degree of mobility that enabled him to live at home and even travel abroad. Supporting his family by playing the stock market, he became a tireless advocate for the disabled, helping to develop numerous devices to provide independence to the paralysed. He lived to the age of 64. Produced by Cavendish’s son Jonathan, Breathe is the directorial debut of Andy Serkis, best known for his motion-capture acting roles as Gollum in Lord of the Rings and as the giant ape in King Kong, and with whom Foy appeared in 2008 in her first major role in Little Dorrit. It is a remarkable and deeply touching film. Garfield gives an extraordinary performance (most of it lying on his back) as the indestructible Cavendish. 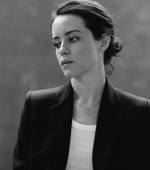 While Foy – who is becoming something of a specialist in playing living characters – is superb as his wife Diana. The couple had been married for only a few months when Cavendish contracted polio; he urged his wife to switch off the machine and build a new life without him. Refusing to let her husband succumb to despair, she nursed, cared for and went on to campaign alongside him. Throughout his life, Cavendish was always just three minutes away from certain death – the amount of time he could have survived had his respirator failed due to a power cut, a blown fuse or – as happens in one particularly heart-stopping moment – a playful dog yanking out the plug. In other emergencies, Cavendish was kept alive by Diana and Jonathan hand-pumping the respirator. True, one thinks, to Cavendish’s indomitable spirit, Serkis injects a light-hearted vein into what could otherwise have been a sombre story. This includes the presence of Tom Hollander playing identical twins, and a knockabout scene where the family make a hair-raising journey to Spain in their converted Bedford van, to the accompaniment of Lee Marvin’s Wand’rin’ Star. ‘Andy said he wanted to make a cross between The Diving Bell and the Butterfly and Chitty Chitty Bang Bang,’ Foy says with a laugh. Diana is now in her 80s and ‘the most extraordinary woman’, says Foy, who spent time with her to prepare for the role. Jonathan said, “I saw my mother cry once, at Christmas, because she was given a kettle as a present.”’ Diana’s precisely modulated upper-middle class tones, and her practical, determined and no-nonsense manner inescapably calls Foy’s role as the monarch to mind. The daughter of a salesman, Foy was born in Stockport and is the youngest of three – she has a brother and sister – but moved as a child to Longwick in Buckinghamshire. Her parents separated when Foy was two, leaving her mother to bring up the children on her own. After grammar school, Foy attended Liverpool John Moores University to study drama and screen studies with a view to becoming a cinematographer. But following the advice of her drama teacher to concentrate on acting, she went on to drama school instead. Her first role was a small part in the TV series Being Human, which led to her being handed the title role in the 14-part BBC adaptation of Charles Dickens’ Little Dorrit. ‘I don’t need to make exaggerated facial gestures. If you know where your character is coming from and going to, and all those sorts of things, then you can be in the moment and let it happen – you don’t have to do any more. On Wolf Hall, Kosminsky says the challenge facing Foy was to play a character who was initially deeply unsympathetic. Kosminsky recalls talking to Hilary Mantel in the early stages of making Wolf Hall, trying to get ‘some early pointers’ about how to take on the challenge of adapting her book to the screen. Foy offers the theory that as the youngest of three siblings, it was almost pre-determined that she should become an actor. 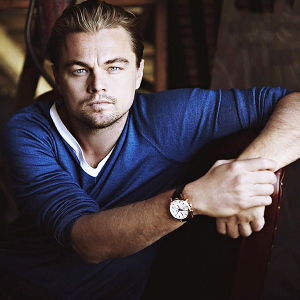 ‘You find a lot of youngest are actors; they’ve been given free rein because a lot of the time with the youngest it’s a case of “take care of yourself – we’ve got a lot on”. But also they’re looking for someone to say “this is who you are”; that feedback that you don’t get otherwise. Her next role will be playing the astronaut Neil Armstrong’s first wife, in a biopic directed by Damien Chazelle, the director of La La Land. Foy says she ‘is in the throes of an existential crisis’ at the prospect. But at the same time, happy to move on from the role of the Queen that has come to define her.